Fear is an emotion that is just normal for human like us to feel. It might be because of threats, living entities, animals, etc. This fear – obviously has big impact as it stops us from doing something we need to do. I think the last part is somewhat the main cause of everything. Thinking that you are not well enough might result to lack of confidence when facing the people, so basically you won’t spend too much of an effort to do what it needs to be done. And if that happens, other people might think you are just playing around, so probably they won’t listen to you anymore. If this is your case, what should you do? 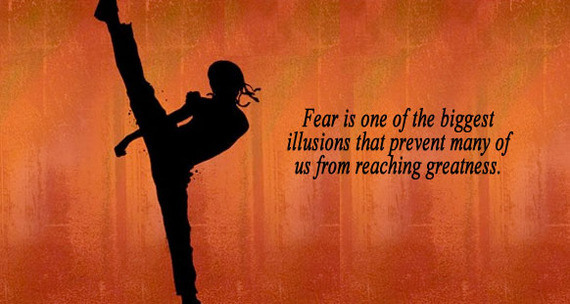 How will you conquer your fears that holds you back to become successful? Acknowledge your fear and its causes. Admitting that you are afraid of something is great as you are starting to get aware of yourself including your strengths and weaknesses. Write everything down. What are the things that fear you the most? Do you think you can conquer them? Write it on a sheet of paper. Well, perhaps you can just use or laptop or mobile phone, yeah? Feel the fear. Repeat after me: “Everyone has their own fears. I’m not alone”. Just feel the fear and experience it fully, but make sure it won’t control you for so long. Now, brace yourself for the battle. It’s time to face everything. Did you know that most of the opportunities only come at once and NOT everyone isn’t fortunate to have the chance. You don’t want to miss a one time, big time opportunity. Do you? Take every small steps. Don’t rush things. Start small, little by little, and soon you’ll notice that you’ll have actually conquered a mountain!